Another animation by SHAFT, after reading the manga, the storyline is decent enough to be be made into an anime i guess, not super complicated but for anyone who wants to see near-naked-loli-tsundere-vampires then this is a must watch. Another fanservice type anime probably full of gags and stuff, students are placed in schools where they are trained to be maids or butlers. Sadness, there's only Nodame for me. 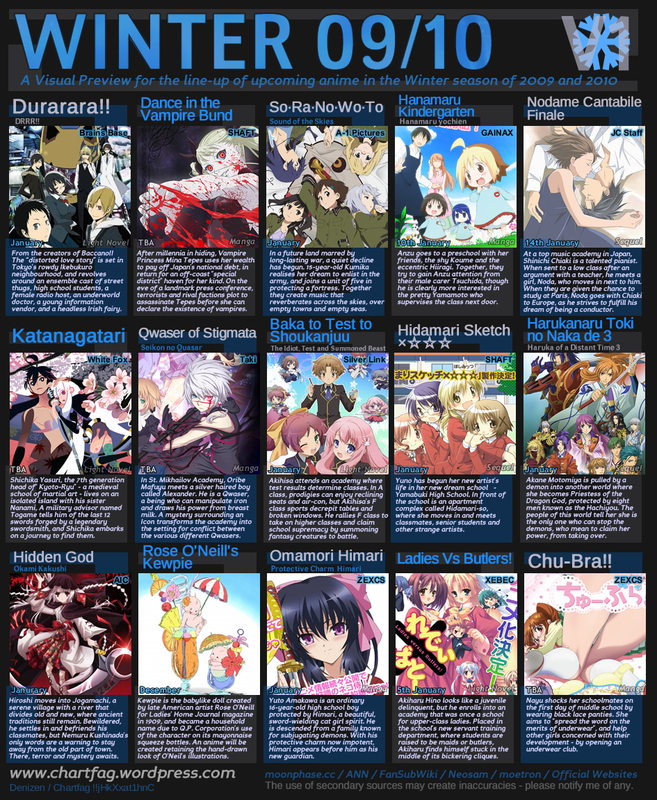 Not really that into winter season anime.